Liquid-liquid extraction is a chemical engineering unit operation in which solutes are equilibrated between two immiscible or partially-miscible liquid phases. Its utility to biotechnology lies in the ability to separate certain proteins from a mixture of proteins and other undesirable macromolecules. Partitioning occurs by virtue of different distribution coefficients of the macromolecules between the two (usually aqueous) phases. Fermentation broths, for example, are a complex mixture of valuable proteins that require a number of steps to separate; the first is often selective extraction between two liquids. To the extent that Kp >> 1 or << 1, the separation is selective. Selectivity is enhanced by adding a completely-dissociated salt to the mix. 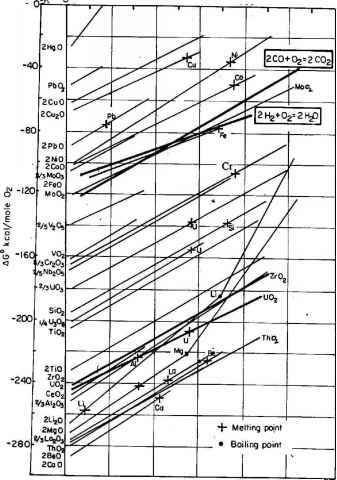 Because the activity coefficients of the salt are different in the two aqueous phases, the salt distributes unevenly, thereby setting up an electric potential difference. Most proteins in aqueous solution are charged, but the electric potential difference can significantly supplement the purely "chemical" proclivity of the protein to favor one of the two phases. The set-up of the extraction system is illustrated in Fig. 11.19. At equilibrium, phase I is rich in polymer A and salt S while polymer B concentrates in phase II along with the protein. Typical water-soluble polymers are dextran and polyethelyene glycol (PEG). Not shown in Fig. 11.18 are additions of buffer solutions to control the pH, which affects protein distribution by its effect on the protein's charge.